Your gateway to fun critter information! 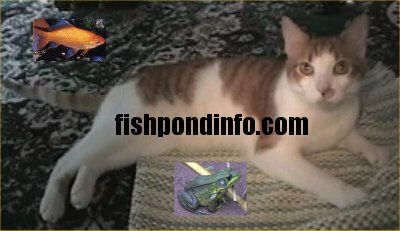 Fishpondinfo.com is not just "fish ponds" but hundreds of animals, fish, and ponds! Over 20 million visitors! I moved this site from http://userpages.umbc.edu/~rrhudy1/ on 10/4/03. If you come across any sites that link to this old page or my old e-mail, please let them know about my new page! There are too many for me to do it! Thanks. I have done some things right and some things wrong. I share them all on Fishpondinfo so that others can learn from my successes and failures. Check out the Fishpondinfo Stores!! Please support this web site by buying something fishy! Thanks!